“Hackers made a modified Linux Mint ISO, with a backdoor in it, and managed to hack our website to point to it,” said Clem Lefebvre, creator of the Linux Mint distribution, in a blog post dated February 21,2016.. The infected ISOs installed the operating system complete with the IRC (Internet Relay Chat) backdoor Tsunami, giving the hackers access to the system via IRC servers. 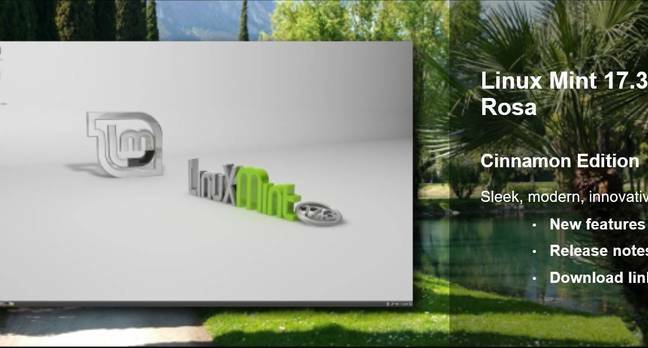 The intrusion affects only those who downloaded Linux Mint 17.3 Cinnamon edition on February 20, According to Lefebvre. He said the website was compromised so that the links to official downloads for the “Cinnamon” edition of Linux Mint were replaced with links to modified downloads hosted, it seems, in Bulgaria. The Linux Mint website is now offline in order to be investigated and secured. You can check for an infected download by comparing the MD5 signature with that of the official versions, which Lefebvre has included in his post. The MD5 signatures are also shown on the official download server, which was not compromised. The Linux Mint repositories were not affected. Users with an infected installation are advised to take their computer offline, reinstall the operating system, and change passwords for sensitive websites and email. The incident is a reminder of the value of checking MD5 signatures for critical downloads. It is also important to ensure that the MD5 signatures themselves come from a trusted source, rather than one that hackers might have modified. In the case of a popular Linux distribution, these signatures are posted in more than one place, so inconsistency in the signatures is a sign that something may be wrong.